For the love of water, drink more! If I asked you what are the 7 essential nutrients that our bodies need, would you know? I think most of you would guess that carbohydrates, fats and proteins were pretty important and after a harder think, vitamins and minerals might pop into your head. Fibre is another which gets far too little attention but the one that is often overlooked completely is water. As water makes up between 50 and 75 per cent of your body weight it is understandable that you can live for days or even weeks without food, but without water, survival would not last much more than a day. Odd then that we don’t prioritise hydration! You can get water from the food you eat. In fact 20% of the food we consume each day is made up of water. The water content of each food can be anything from 10 to 98%, but this won’t be enough on its own to keep you healthy. It is vital to make sure you consume water in addition to that in your food. 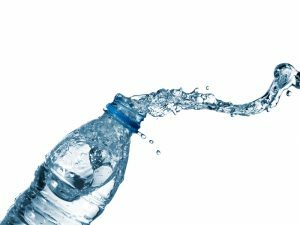 We need to drink water regularly as our bodies store water like a sink without a plug, in one end and after a short interval, out the other! If you don’t keep topping up, all the water you have consumed is either used by your body or drains away. All non-alcoholic drinks contribute towards your fluid intake, although some choices are obviously healthier than others. It makes sense to avoid drinks that are high in sugar and additives. Interestingly, drinking tea during mealtimes is not advisable as the tannin can prevent absorption of iron. Have you all heard these? Only when you are thirsty etc. etc. These all influence the amount of energy you use each day. The more energy you use, the more fluid you need. A headache is often the first sign that you are dehydrated. Thirst should never be ignored. A personal choice but worth knowing that as far as safety is concerned, tap water in the UK is more highly regulated than bottled water. If you don’t like the taste of tap water try adding a squeeze of lemon or orange juice to it or alternatively buy a filter, which will help give it a purer taste. Enough reading, time to go and get a drink!